FRANKFURT -- BMW, Daimler, Volkswagen and Ford are among a group of automakers who have formed a joint venture to create out a pan-European network of 400 fast charging stations for electric vehicles by the year 2020. The venture, called Ionity, is backed by the automakers and include Volkswagen Group's Audi and Porsche brands, the companies said in a statement on Friday. 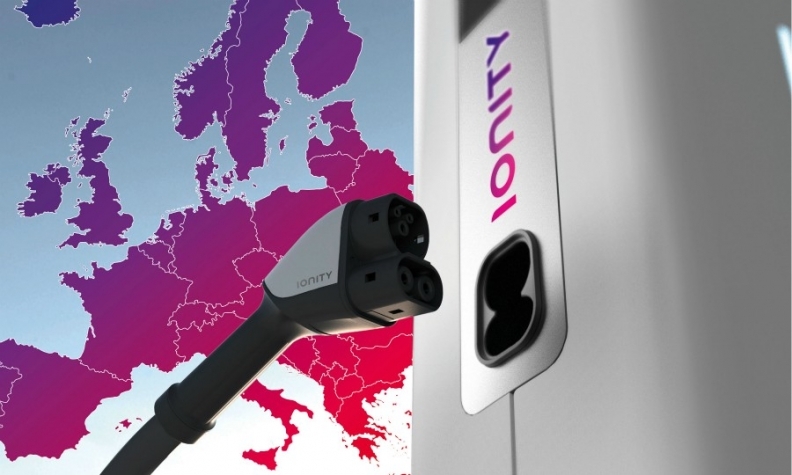 Ionity, to be headquartered in Munich, will open its first 20 charging stations to the public this year in Germany, Norway and Austria. These will be 120 km (75 miles) apart, and run in partnership with the companies Tank & Rast, Circle K and OMV. The network will be expanded to 100 stations in 2018, each one enabling several drivers of different car brands to charge their vehicles at the same time. Each charging point will have a capacity of 350 kW, and will use an existing European standard, the Combined Charging System, to reduce charging times compared to existing systems. The system is not tied to brands, which should make EVs more appealing to drivers, Ionity said. "The first pan-European HPC network plays an essential role in establishing a market for electric vehicles," Ionity's CEO Michael Hajesch said. He added that the fast-charging stations would also offer digital-payment capability. Anxiety over whether battery-powered cars have the range to reach their destination is inhibiting some drivers from switching from traditional gasoline- or diesel-powered models. But with U.S. all-electric challenger Tesla stealing a lead, established brands are teaming up to ensure that EVs can get quickly back on the road after hooking up to a High-Power Charging (HPC) station.